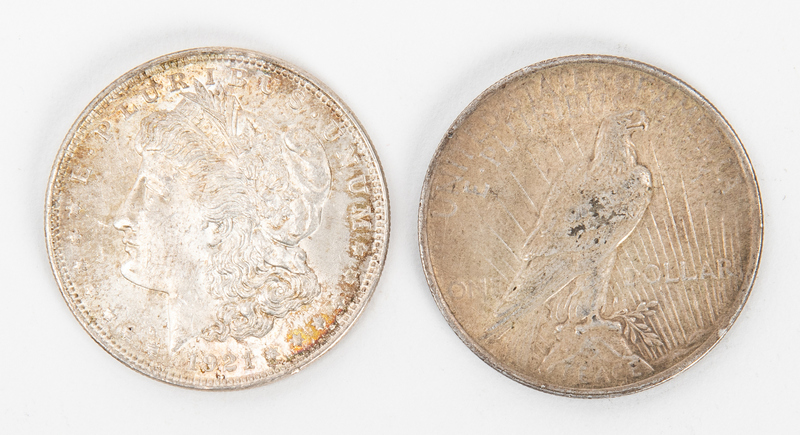 Sixty-five (65) Extra Fine/Uncirculated Morgan and Peace Silver Dollars. 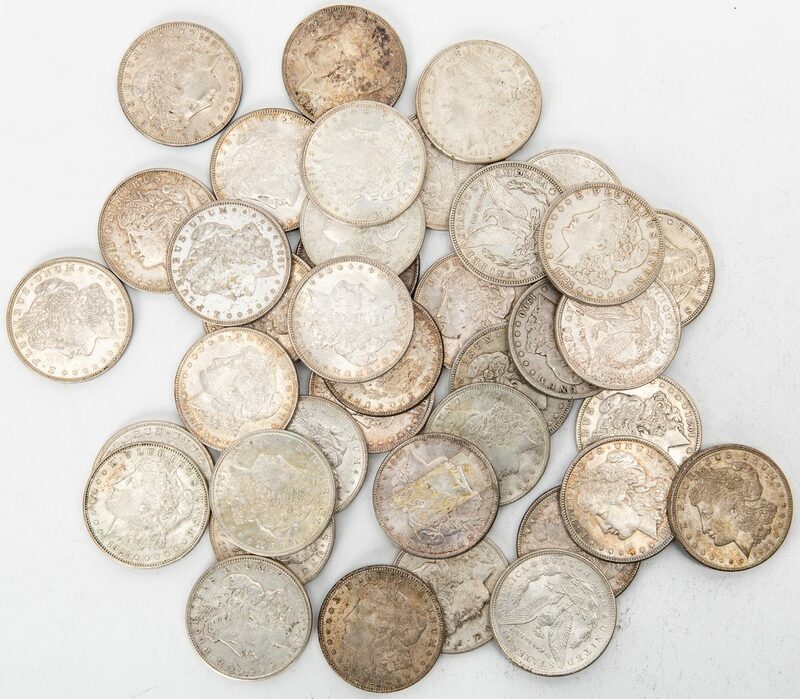 1st-39th items: Thirty-nine (39) Morgan Dollars, including two (2) 1885, one (1) 1886, two (2) 1891, five (5) 1896, one (1) 1898, one (1) 1900, one (1) 1901, and twenty (26) 1921. 33.49 total troy ounces. 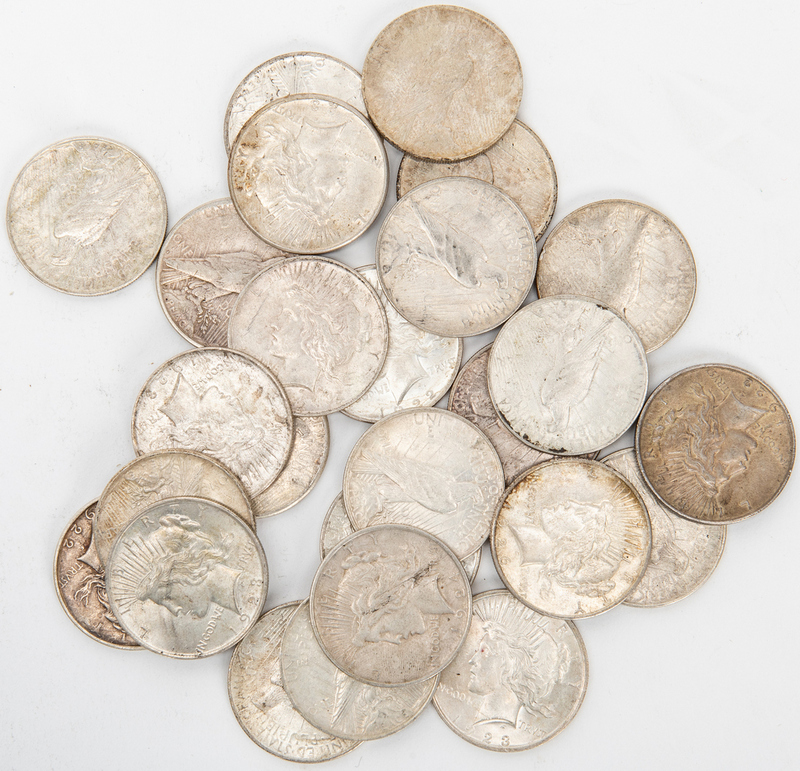 40th-65th items: Twenty-six (26) Peace Dollars, including twelve (12) 1922, eight (8) 1923, four (4) 1924, one (1) 1925, and one (1) 1926, 22.32 total troy ounces. 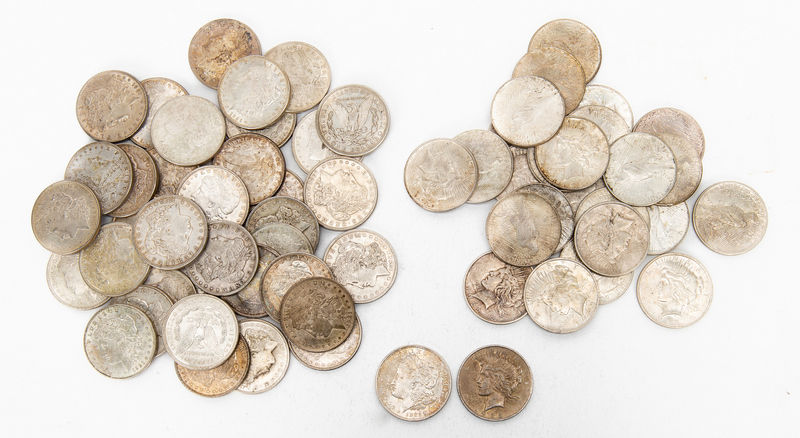 55.81 total troy ounces for all coins. Provenance: the collection of Benjamin Dysart, Brentwood, Tennessee. CONDITION: Extra Fine/Uncirculated condition.